in accordance with the 2006 ACO LMGT2 Regulations and the 2006 FIA Article 257 (Technical Regulations for Series Grand Touring Cars). 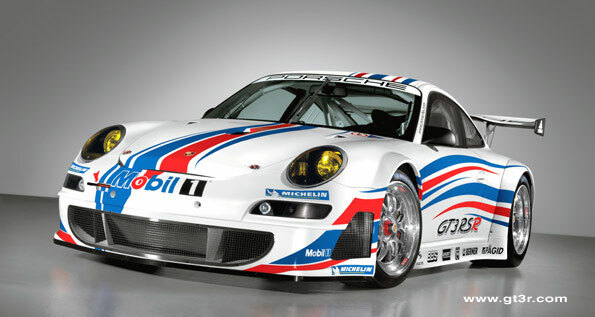 basis: Model Year 2007 Porsche 911 GT3 RS (997; street legal version). Six-cylinder aluminum boxer engine, water-cooled. 3,795 cc, stroke 76.4 mm, bore 102.7 mm. max. power: 358 kW (485 bhp) at 8,400 rpm. max. torque: 435 Nm at 7,250 rpm. air restrictors 2 x 30.3 mm. 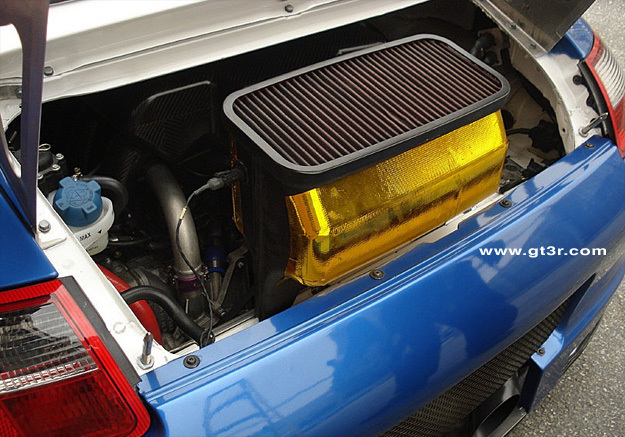 dry-sump lubrication system with engine mounted dry-sump tank made from carbon fiber. oil and cooling water refilling system. intake manifold made of carbon fiber with dual air restrictors and single throttle per cylinder, dual restrictor. electronic engine management system BOSCH MS 4.0. Six-speed sequential dog type manual transmission, straight cut gears re-designed for optimized drive shaft angle. "in-line" shift mechanism, sensor controlled traction interruption. single-mass flywheel with triple-disc race clutch. six-point seat belt, prepared for using HANS Safety System (Head And Neck Support System). 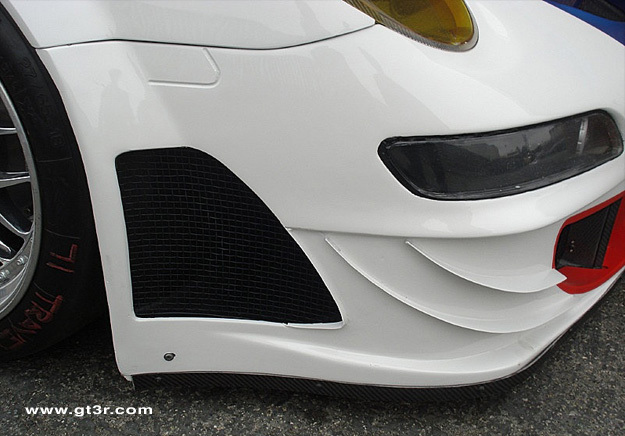 aerodynamically optimized front and rear part. flat underbody made from carbon fiber. removable steering wheel (quick-connect coupling). 100 litre FT3 safety fuel tank with quick refuelling system. 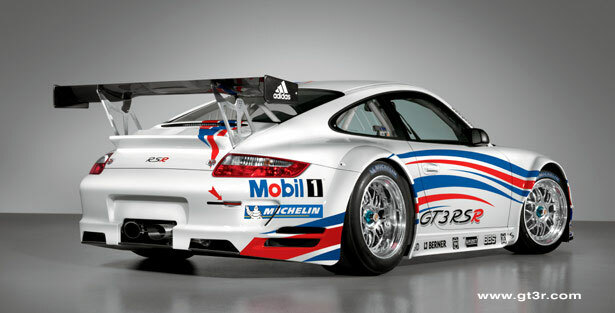 The Porsche 911 GT3 RSR (type 997) is in compliance with the 2006 Le Mans GT2 regulations of the Automobile Club de l'Ouest (A. C. O.) 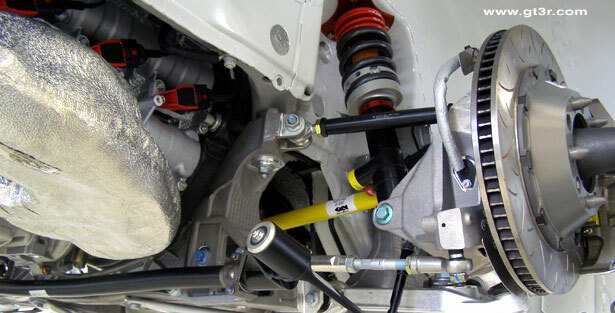 as well as the regulations of the international automobile assembly FIA for Series Grand Touring Cars, thus enabling the participation in various racing series. The new design adopts the meanwhile typical face of the 997 series. 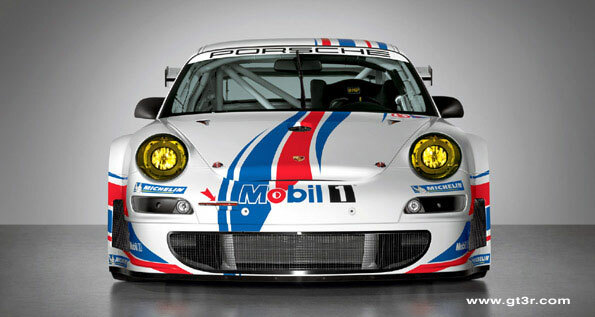 Due to body work optimizations, the Porsche 911 GT3 RSR (type 997) dispose of improved aerodynamics and a 10 percent increased stiffness. At the same time, the centre of gravity has been lowered significantly. Wider rear fenders and a wider rear track for rear wheels up to 14 inches enhance the performance capabilities of this new racing car and make it competitive against rivals like Ferrari, Panoz and Spyker. The 3,8 litre engine produces 485 hp at a maximum torque of 435 Nm. 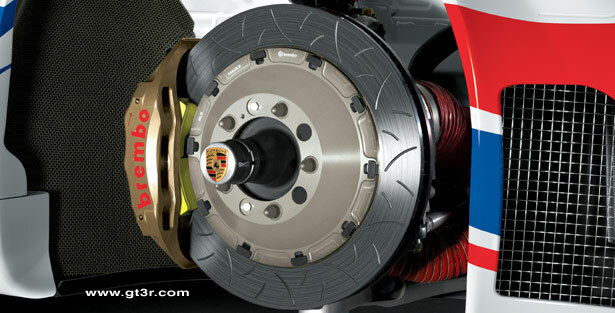 Additionally, the new RSR convinces through re-designed, service- and driver-friendly electronics. 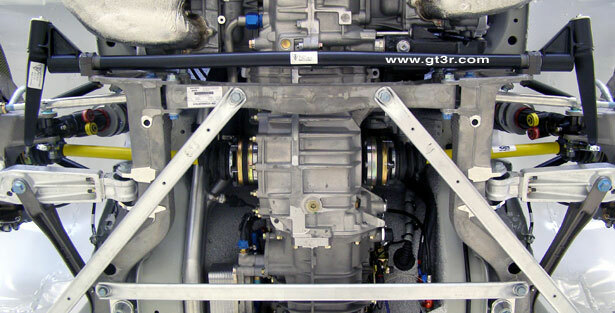 Performance and reliability remain the outstanding characteristics of the 911 GT3 RSR, which was built also and especially for the insertion in long-distance racing, e. g. at the famous Le Mans 24 Hours. The vehicle can not be approved for road use. Each customer is solely responsible for observing the regulations relevant to himself and his car. Tafel spent a tremendous amount of time and money towards improvements. Some of their work found its way to the 08 RSR. Notice dive planes on front bumper below.